There is a certain theorm we were taught in school that goes something like this : The kinetic energy of a system of particles is the kinetic energy associated with the movement of the center of mass and the kinetic energy associated to the movement of the particles relative to the center of mass. This is called Koenig's theorm. In humans (bipeds), as the center of mass is propelled, fore and hind limbs are alternatively in contact with the ground, while the upper limbs oscillate freely both during the stance and the swing phase. This results in a linked multi-segment system. Koenig's theorm can be applied to this system to model the mechanical work done in running. The human runner consists of a central trunk and n number of rigid segments each of mass m. The total mass M of the runner is considered to be lumped at center of gravity. The potential energy while running is represented by M.g.H, where H is the vertical height of center of gravity from ground. The kinetic energy of M is 1/2.M.Vcg^2 where Vcg is the velocity of center of gravity. The total external work Wext comprises of the sum of kinetic and potential energy. The kinetic energy of ith segment relative to body center of gravity is 1/2.mi.Vr,i^2 where Vr,i is the linear velocity of that segment relative to body center of gravity. The rotational kinetic energy of the ith segment relative to body center of gravity is 1/2.Ki.ωi^2 where Ki is the radius of gyration of the ith segment around it’s own centre of mass and ωi is the angular velocity of that segment. The total internal work Wint is the summation of every segment's linear kinetic and rotational kinetic energies. The computational scheme of calculating internal work assumes that energy transfers take place between segments of the same limb but not between limbs or between trunk and limb. The total mechanical work done for running is then the simultaneous summation of total external work done and total internal work done for a particular instant. I've represented this in a rather quirky picture with the physical equations underneath. 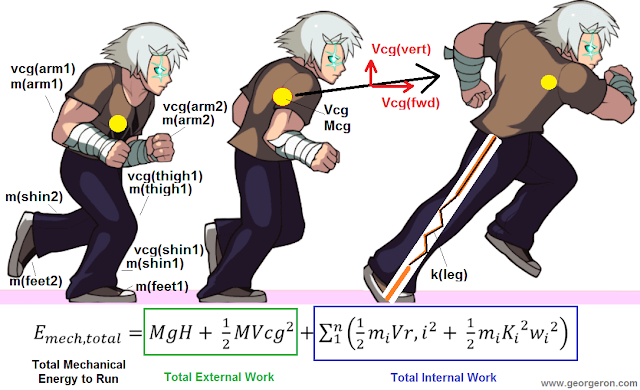 Fig 1 : Illustration showing the physical equations in external work and internal work as contributions to total work. Kleg here is a lumped stiffness constant for the leg. The yellow dot represents the center of mass and the vertical amplitude of it's movement represents vertical oscillation. For example, if the runner in the picture commits 5 Joules of total mechanical work per kilogram every second, power = 5 Watts/kg (1 W = 1 Joule/second). A cycle of running motion from touchdown to touchdown of the same leg is called the stride. Total mechanical work done can be resolved over many strides to see how it varies. Some data from empirical testing is shown in Fig. 2 to get an understanding of change in work done. For an idea of magnitude of work, a scale of 100 Joules is shown on the right. Observe the troughs and peaks in mechanical energy. 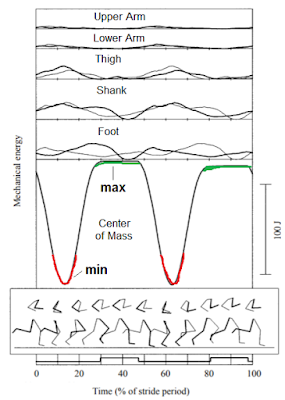 The largest oscillations in energy come from the lower leg comprising of the thigh and the foot. Cavagna has written that the lower limb is itself responsible for about 80-90% of internal work. The physical understanding here is that every time the leg is on ground around mid-stance phase, potential energy is at it's minima, therefore mechanical energy of center of mass also attains minima (red lines). 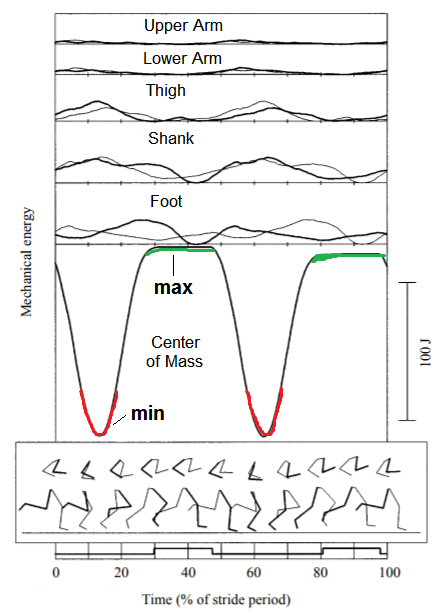 The maxima in mechanical energy of center of mass is attained at the peak of flight phase after a maximum in trailing foot pushoff work and when potential energy is at it's maxima (green lines). Duty factor is the percentage of the total time between strides (or steps) that a single foot is on the ground. Values for duty factor can vary from 50 to 90 percent, but are typically in the 60 to 80 percent range. As duty factor increases, an individual spends more time with his feet on ground and this has implications for the maxima in mechanical energy, or maxima in power. In other words, we might consider that it increases the time spent around the minima of mechanical energy, which thereby might decrease the overall mechanical energy of the center of gravity and overall running velocity. But given the same forward speed, the only way to decrease duty factor is to increase leg turnover rate, or cadence. Somewhere between too high a cadence and too low a cadence, most good runners will strike a balance to optimize ground speed, time spent on the ground and total mechanical work done. The "average work done" for a duration of say 10 minutes means resolving these peaks and valleys of an up and down work signal into it's average. The mechanical work done curve can be transformed to a mechanical power curve by turning it into a rate per second. The average mechanical power is about resolving this curve of peaks and troughs to an average value representing that curve. A math trick is to remember that the average value of any function can be represented in integral form. Integration can be electronically implemented. To clean up the resulting curves for presentation, signals can be sent through filters and/or computationally 'smoothed' over a desired interval of time. Human beings have a maximal efficiency of converting chemical energy in food to contractile muscle work of about 25%. Let's call this contractile efficiency as Contr_Eff. In human locomotion, mechanical efficiency can be expressed in terms of how much total work you put out relative to the net metabolic cost of running. This is Run_Eff. Walking efficiency can be labelled Walk_Eff. The energy cost of running is expressed as ml O2 consumed per kg per m. This can be converted to a metabolic power (units of J per kg per m) using the conversion of volumetric oxygen to joules. The net metabolic cost is nothing but the cost of running minus the cost of stationary standing. Presumably, for well trained runners, efficiency is better than that for average runners. Such has been said about East African runners. 1. Run_Eff > Contr_Eff. Apprently, this is due to the storage and use of elastic energy through the action of recoil in the lower legs between each cycle of running. The wider the separation between both, the better is the uptake of recoil elements in running. 2. Run_Eff > Walk_Eff. This is presumably because potential and kinetic energy are out of phase in walking (rolling egg), but nicely synchronized and in-phase during running (think of a pogo stick). 3. Run_Eff increases linearly with speed, starting at 45% and maximising somewhere between 70-80%. 4. Walk_Eff maximises at intermediate speeds with values of 35-40%. It then falls off with further increase in speeds. This is interesting and possibly explains why the human considers running instead of walking when speed is past a certain threshold. 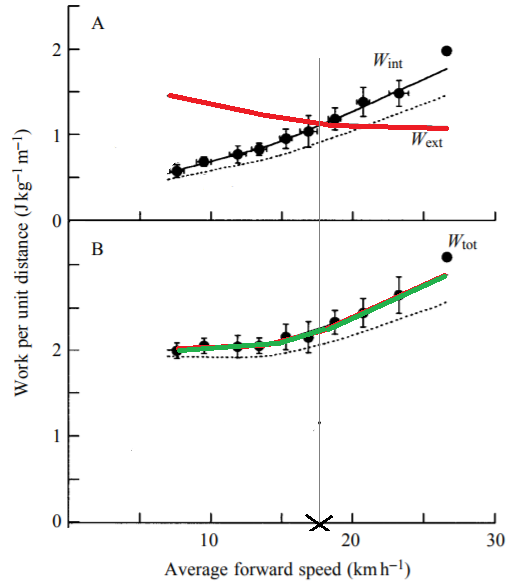 Fig 4 : Variation of mechanical efficiency, internal (Wint), external (Wext) and total work (Wtot) and net metabolic energy cost (En exp) with speed in running and walking regimes. Source : Cavagna (1976). As shown in Fig 4, things really depend on the magnitude of running speed. Researchers like Cavagna have shown that when the log of internal power is plotted against a log of speed, the resulting linear line approaches a slope of 2. Which simply means that internal power, as a crude approximation, may vary as a square of running speed. For example, in the graph I have stuck below in Fig.5, one sees that beyond a speed of 17 kph, internal work starts to become a greater percentage of total work done and exceeds external work. The magnitudes of numbers are interesting for perspective. Below 17 kph, external mechanical work (Wext) varies from a high of nearly 1.5 to a low of 1.1 J/kg/m. Internal mechanical work (Win) varies from a low of 0.5 J/kg/m to a high of 1.1 J/kg/m. Above 17 kph, Wext varies from a high of 1.1 J/kg/m to a low of 1 J/kg/m while Wint increases from 1.1 J/kg/m to 1.6 J/kg/m. For this example, if speed were a modest 7:00 min/mile (13.8 kph), this means that Wint is around 0.7 J/kg/m and Wext is around 1.3 J/kg/m. In other words, the Wint and Wext % of total mechanical power is 32% and 68% respectively. Presumably this means that short distance, maximal intensity runners might benefit in knowing the magnitude of internal work done, or internal power. It also means a 10K runner running at 7:00 min/mile spends 30% of his total power internally. That's a sizeable chunk of running workload. G. What Do Running Powermeters Measure and Not Measure? Running powermeters such as the Stryd and Runscribe are inherently 9-axis IMUs. By combining it with a barometric sensor, you get the ability to measure acceleration (X,Y,Z) and orientation but also altitude by measuring the atmospheric pressure and using the difference between that and sea level atmospheric pressure. This is called pressure altitude. Averaging the data that comes from the 3 chipsets is said to produce a better estimate of motion than that obtained using accelerometer data alone. This is a great page to learn about how accelerometers work. If you want to get a practical idea of how an accelerometer works, you can play around with this app Google built. Basically it uses the sensors in your phone to give you an X and Y axis acceleration while running, but you're on your own about what to do with it. Devices like Stryd are coded with a sleep mode when not active to save battery power. They 'wake up' when motion is sensed and start collecting run data only when a certain threshold in motion is passed. The hard part is figuring out the coding. Because the raw data from 10dof's can be noisy, they have to be filtered to present meaningful motion data. Fig 6: An image explaining the components on a GY-80 10DOF chipset. Since an accelerometer can integrate acceleration to get velocity and double integrate to get position, algorithms involving changes in velocity and position are easily implemented. Focusing on kinematics means these devices do not use any hardware to actually measure force and therefore save on lot of cost and footprint size. Unlike cycling powermeters, running powermeters have zero strain gages, therefore there is no direct measurement of force. The device simply uses a model that uses measured parameters to approximate running power. Now precisely what algorithm the Stryd uses to measure power is not known. On their website, in a little blurb within the FAQ section, Stryd claims that by "approximating" the time-course of ground reaction force in the horizontal and vertical direction and multiplying it with velocity components integrated from acceleration, they can calculate power. This is shown in a screen capture from one of Stryd's Youtube videos. The methodological debate here is how the model is approximating the ground reaction forces and with what level of accuracy does it capture that data for level and gradient running and for soft vs hard surfaces. We will not know the answer to that. That is the secret sauce after all. I was told that values of external power had been calibrated against force plate treadmills in the laboratory within a range of 10 cm of shoe mounting height. We are told by others that the data is reasonably accurate. Stryd resolves power into a horizontal power and a form power, the latter which represents the cost of perpendicular bouncing in place. Stryd is marketing this as 'wasted' effort. The sum of horizontal and vertical powers become total power. Other power models such as that used by Garmin take a different approach and they swear by the accuracy of their models. If two powermeters yield different values of calculated power, we can assume that majority of the differences stem from precisely what algorithm is being used. The rest of the differences are probably due to how the signals are filtered, processed and implemented in code and smoothed before they are presented to the user. I've conducted experiments with the Stryd during a laboratory VO2max test and there was reasonable correlation between power and metabolic cost. I do not know if similar correlational power would exist in outdoor running with weather and running surface factored in. Stryd has conducted an outdoor VO2 test using a metabolic cart loading onto a pickup and claim that power tracks running economy. Because external power is relatively more "stable" than heart rate and pace, it becomes a "useful" perhaps 'objective' parameter to design stress scores and performance management charts around. As a messenger of training intensity and training load, it is useful. There are a few key things to question when using low cost accelerometry to study human motion, particularly the messy problem of running. 1. Inter-device reproducability : Given a bunch of running powermeters from the same OEM, to what degree will each device converge upon a similar value given a controlled running task? 2. Intra-device reproducability : Given several identical running tasks over a period of time, to what degree will a given device reproduce metrics over that time? 3. Validity : Given a "measurement" from a running powermeter, to what degree are the results meaningful , i.e what co-relation do they have in relation to real physiological demands of running? Criterion validity measures how well the data corresponds to gold standards of measuring the same thing. Convergent validity is the extent to which the measurements made by the sensor are associated with those made with other assessment methods that intend to measure the same or similar aspects. There are devices that measure running power hitting the market that are affixed to different positions on the body. Some, like Garmin's pods, are affixed to the shorts. Some, like the Runscribe and Stryd, are mounted on the shoes, either at the heels or on the laces. An earlier version of the Stryd, called Pioneer, came as a chest mounted strap. There is a debate on what is the best position. For consistent measurement, mounting at the shorts and the chest is said to be problematic since the pod also exhibits motion when the fat layer and short waistline moves relative to the core of the body. However, using the same argument, the Stryd foodpod exhibits relative motion on certain shoes as the foot-mount bracket "slips" on the laces. I suppose any mounting position, if properly controlled, is valid. But it does seem that the foot-mounting positions seems to be the least worst among all three positions. Estimating the true workload of running is a tricky business due to a couple of reasons. 1) First, in level running at constant speed, there is a substantial recovery of elastic energy at each stride, that brings about a corresponding reduction in the mechanical work performed by the active muscles. In other words, when your muscles shorten to propel you forwards, some of the energy it uses has been stored from the previous stretch cycle. On non-level running surfaces, the portion of negative eccentric work starts to become a significant factor on appreciably steep downhill slopes, where the leg muscles are working to both brake and stabilise the human runner from toppling forward. In this regime, use of elastic recoil maybe lesser than on level running. For these reasons, it is inappropriate and erronous to assume a running efficiency value equal to that of purely isotonic work (i. e. on the order of 25 %). Powermeters can't tell you want is truly going on with the elastic recovery portion of running, however some algorithms like Leg Spring Stiffness (LSS) maybe a step in this direction. One also has to realize that LSS maybe subject to various interpretations depending on the mathematical implementation. See this post for an overview. 2) Secondly, powermeters do not sense internal power. In literature, researchers have summed up the kinetic energy needed to move all important limbs in running, multiplied them by two for contra-laterality and divided by the stride time (2 steps) to express that in terms of power (W). A problem with the above calculation is that it might over-estimate the amount of actual muscular power. Consider the case where if the energy can be "transferred" from one limb to the other due to speed and momentum without any muscular contraction actually happening, the total work you calculate is greater than that actually being used. Sensing internal work is most likely hardware and computational intensive. Studies show that for the same running speed, different methods of calculating internal power yield around a 1000% difference between highest and lowest values. 3) Running powemeters do not factor in wind and therefore, any extra workload to move against stiff aerodynamic resistance is unaccounted for. For example, in metabolic terms, a +4.5 mph headwind translates to a +5% increase in VO2 according to data from Dr. Jack Daniels. For maintaining the same pace, the running powermeter will "lag" behind metabolic intensity because wind resistance is not factored for. 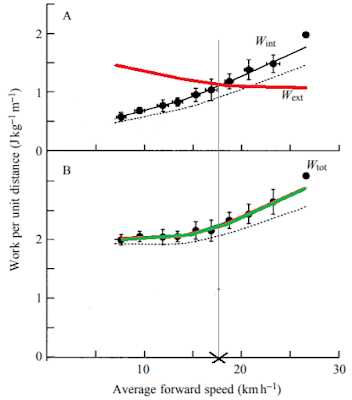 Since fast runners "create" their own wind even in calm conditions, not being able to assess a true intensity of working in the fluid medium could be an issue, particularly in places with high air densities and air pressures. This might present a problem to a runner with an inflexible pacing plan. 4) Similarly, external power does not factor in a temperature. It is left to the runner to calibrate a power based pacing strategy against the ambient temperature and humidity. While power is said to be "objective", it does not in any way diminish the need for the runner to calibrate against perceived effort and possibly, even heart rate. A sensible approach is one that is holistic, especially if runner in question is someone known to push their body to the extremes. 1) One does not know the true mechanical workload of a run. True workload is true total workload. Unless you're a kangaroo, humans commit internal work to run. How an algorithmic estimation fares against true intensity among different runners, of different age groups, of different geographical backgrounds, on different terrain - all carry an uncertainty to it. At the heart of why you would want to measure the intensity of an exercise is the ability to get valid information. 2) For faster runners, not being able to assess Wint means not knowing a sizeable proportion of total workload that may contribute (or deduct) from movement efficiency. Maximal running elicits high amounts of joint torque and power in fractions of seconds. Short distance track runners who use a substantial portion of limb power to propel forwards are probably better off with traditional or slightly more advanced techniques of training to extract maximum potential. 3) Metrics using external mechanical power may not actually explain performance differences among runners and may not be helpful to address biomechanical issues. The complexity with running lies in the fact that for the same speed, there are wide variations in economy among runners. We still don't exactly know what makes East African runners so good at what they do but various theories have been provided, one of them being running economy. Traditionally, economy has been measured in metabolic terms. For example, if you need 200 ml O2/kg/min to run at 7:00/mile, that's your running economy at that speed. With the coming of power sensors, a commercial market of sorts has opened up to introduce new ways to interpret this data. There's a plethora of metrics thats pouring out from these efforts. It is my humble opinion that some caution must be exercised when basing value judgements using efficiency metrics calculated using external power. For example, Stryd's analysts write that running efficiency is 20-25% and that 40% efficiency is "inhuman" without distinguishing between a total running output and external running output. Expressing clarity in what goes into the effiiency calculation avoids confusion. As we have seen before, mechanical efficiency can be substantially different based on speed, running surface and elastic energy recoil. In another example, Andrew Coggan and TrainingPeaks have introduced a "novel" metric called Running Effectiveness. This is a complex metric that is based on a ratio of speed (in m/s) over external power to weight ratio (W/kg). Notwithstanding the need to get several things correct in this ratio and filter for course and weather decoupling to get a sensibly stable number, it must be borne in mind that the power in the denominator is still an "external power" only. Therefore, trying to use Running Effectiveness for basing value judgements about runners maybe methodologically flawed. Depending on speed, a major chunk of total power - internal power - is not factored in. Similarly, the inverse of the above metric is packaged into a metric called Energy Cost of Running (ECOR) by the authors of the book Secret of Running. In the book, they implore runners to monitor this metric and try to reduce energy cost. Personally, from more than 10 months of running data, I do not have confidence that any decrease I'm seeing in ECOR isn't simply a function of normal variability in the data. Therefore, the analyst must be aware that a change that is less than or within the tolerance attributable to device variability is not conclusively a positive change purely from training. The general advice to reduce cost of running is absolutely well taken, but hang on. Again, ECOR is calculated using only external power and presents a possibly limited picture of true cost. If you accomplish reducing ECOR in your runs, so what? Is an improvement in ECOR actually tied to something happening within the body? Therefore, I do not think it is helpful to use a surrogate cost of running based on external power for cross-comparisons when you do not address and control for a major chunk of running biomechanics which is the movement of the limbs. As Donald Rumsfeld once remarked, there's known unknowns and unknown unknowns. Internal power is a known unknown. The unknown unknown is what fraction of total power the internal power really is and how that varies among people. A reduction in ECOR or an increase in RE may not disclose the entire picture. Carrying an evidence based approach in the application of such metrics is advisable. For example, a validation study could be conducted on an appropriate sample of runners to assess the correlational power of metrics like Running Effectiveness in relation to being able to explain actual performance variations among runners. External, internal and total work in human locomotion. J Exp Biol. 1995 Feb; 198(Pt 2): 379–393.